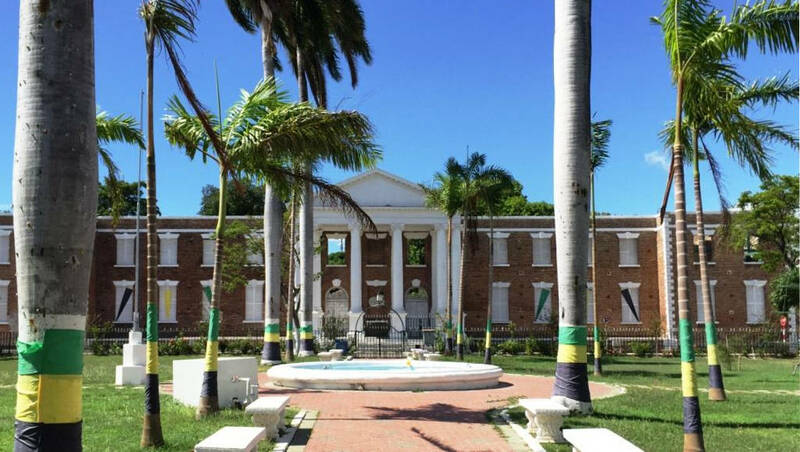 Our South Coast tour has an emphasis on the founding fathers of the Ethiopian Baptist movement, the African-Americans and African Jamaicans who bought land, established the first churches and planned emancipation in the face of a plantocracy that made it their life's work to destroy them. You will therefore walk on the land once walked by George Liele and his family, visit sites of persecution and execution, and celebrate Kingston and the Jamaica which is now, and which gives us a sense of what those ancestors have left us with today. We begin our tour by visiting the ‘birthplace’ of African American George Liele’s Ethiopian Baptist movement in Kingston through its churches; Windward Road, East Queen Street (Church and Calabar School), Hanover Street and the Kingston Tabernacle. There will also be visits to the location/ruins of the asylum, gaol, courthouse, and Fort. The day will conclude with a visit to Clifton Mount which was not only noted as having a Baptist chapel for its ‘slaves’, but being in the Blue Mountains is famous for its coffee. You will be invited to taste its many varieties. We will begin our day travelling to Spanish Town – Jamaica’s capital until 1872, visiting the Governor’s residence, House of Assembly, and prison. We will visit Kitson Town Baptist Church, and then Phillippo Baptist Church, founded by African American George Gibb, in whose grounds is housed the only known liberty tree. We will then journey on to Jericho Baptist church the home of the only know female leader in the movement, Miss Cooper. We will then travel through Manchester, mission station of George Lewis, a native of Guinea, who was enslaved in Virginia, USA before being transported to Jamaica. Finally we go on to Black River, a place of martyrdom. Today it is also known for its birds and crocodiles, which we will take a one of their famous boat rides to see. On this your penultimate day on the island, we will travel the scenic south coast as we make our way to St Thomas, considered to be the most 'African' of all Jamaica's parishes today. Here congregations were led by Parson Kellick, Paul Bogle and George William Gordon lived. We will visit Morant Bay, including the Courthouse, the site of Stony Gut village and Chapel where the greatest genocide of Ethiopian Baptists took place, which led to its demise as a movement. We will visit Hayfield, Monklands before stopping in Bath renowned for its healing mineral waters. We will then return to Kingston via Yallah’s, and 11 miles. As we bid you a fond farewell, if you have not made other plans on the island, then depending on the time of your flight time, why not use your time in Kingston to visit the Bob Marley Museum, National Heroes Park, Devon House, the home of the first African Jamaican millionaire, or the Craft Market and Uptown Plaza.